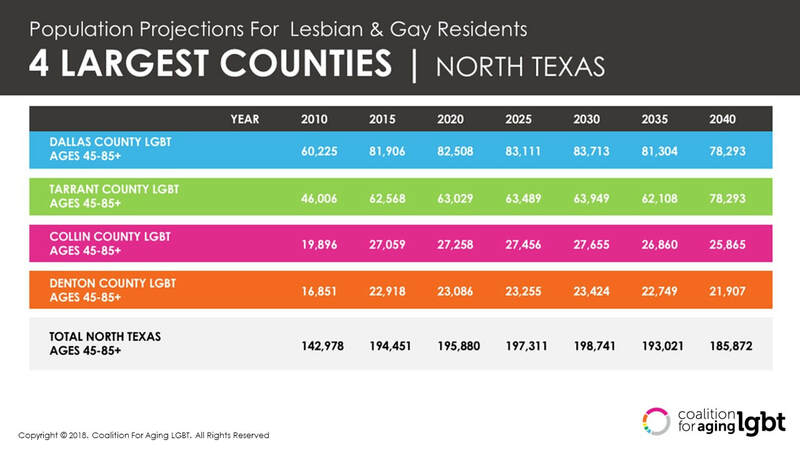 In the next 10 years there will be 198K members of the North Texas LGBT Community, age 45 and older. Note: Population is from the US Census Bureau with suplimental data from the williams Institue at UCLA. 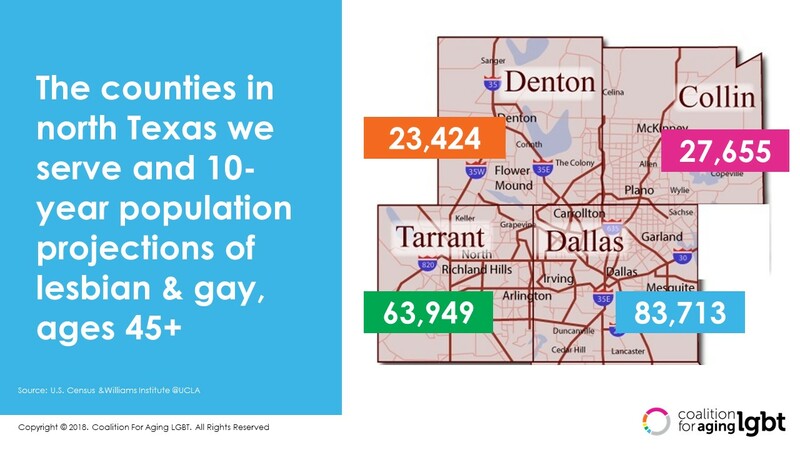 This only represents lesbian & gay as the census data did not capture transgender population counts.